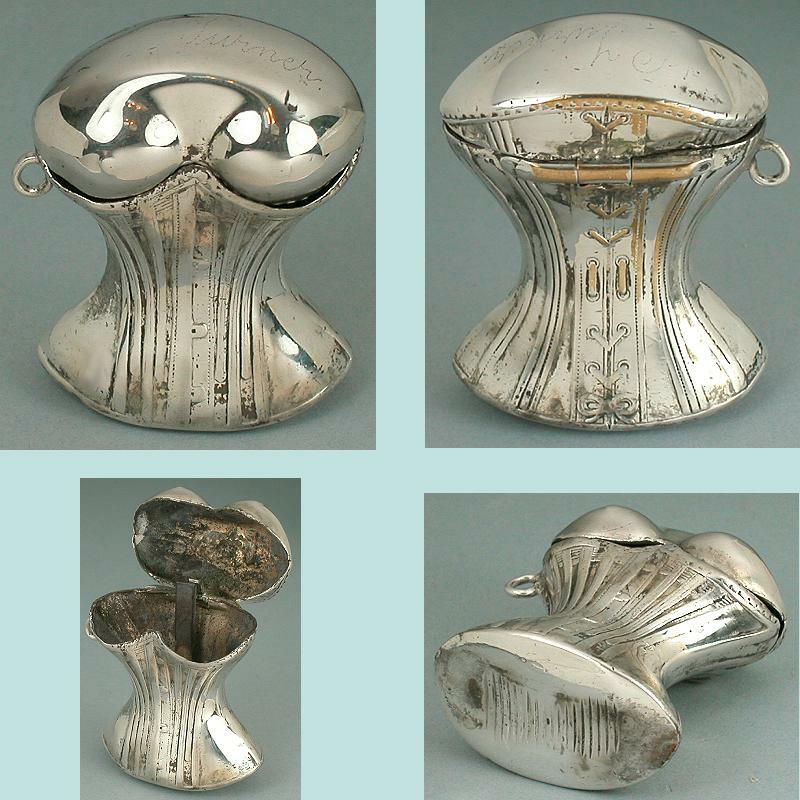 This antique silver plated vesta is in the form of a lady's corset, a bit risqué for the time. 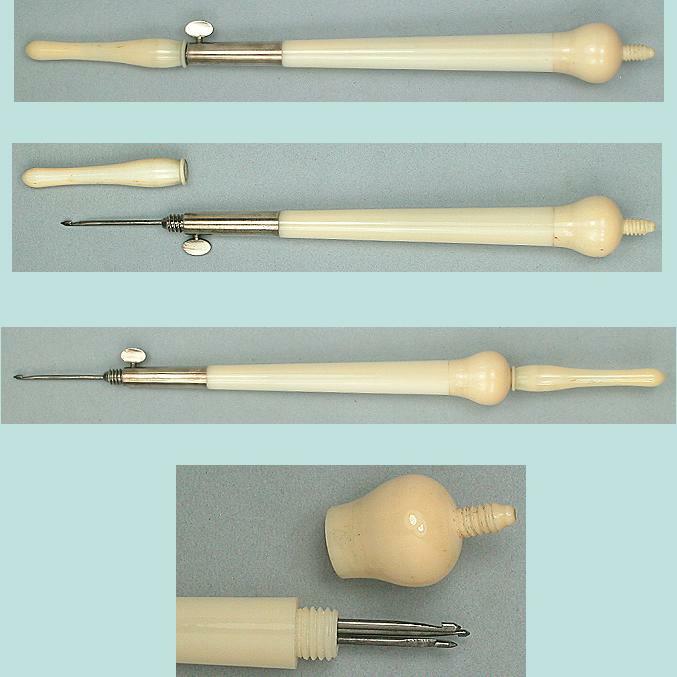 The top is hinged and it opens and snaps closes solidly. The striker is at the bottom. The condition is excellent with no dents or other damage and measures 1 5/8" high by 1 3/8" wide. The silver plating is rubbed at the hinge and it looks like it was plated over copper or brass. The side has a ring so it could be attached to a chatelaine or watch chain. The top has faint engraving "L. Turner" but it was hard to photograph. It was bought in England. One like this is shown on p. 90 of Eugene & Christine Sanders' book Pocket Matchsafes and they value it at $1375-$1575.